Support standards mastery and put critical thinking at the center of the classroom with our award-winning curriculum. 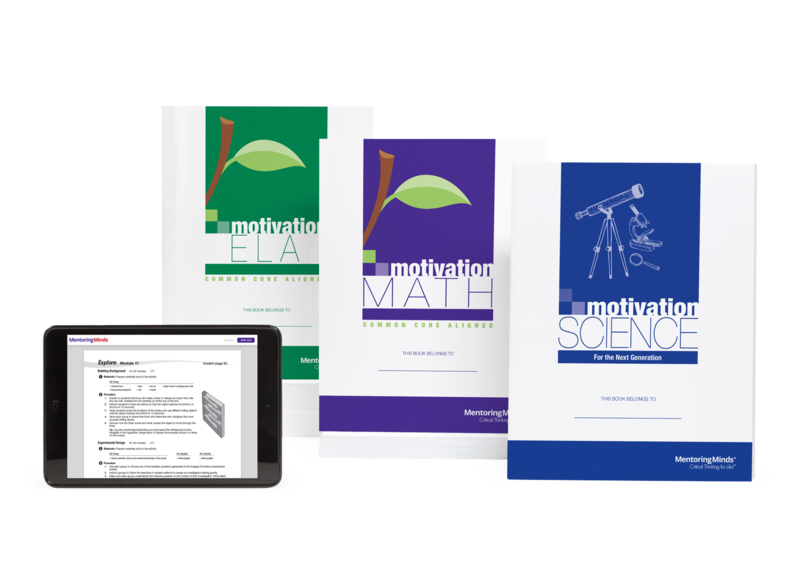 Used by over 2 million students, Total Motivation addresses 100% of the Common Core State Standards (CCSS) for Math and ELA to provide classroom-tested instructional strategies and rigorous practice. 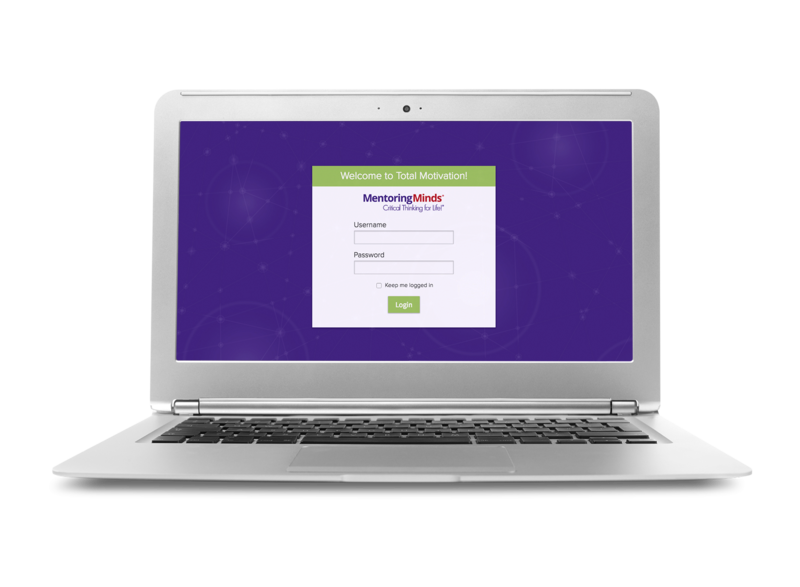 Pair it with ItematicaTM, our new digital item bank, for additional practice and access to over 500 pre-built assessments. Meet Total Motivation, the standards-based award-winning curriculum. Address 100% of the CCSS for Math and ELA, or support NGSS for Science, with a flexible resource designed to build critical thinking skills and student confidence. Total Motivation fits any scope and sequence, yet is rigorous enough to drive instruction on its own. Experience our new and improved digital platform. Total Motivation’s online platform has been overhauled and reimagined. Features include whiteboard compatibility, 1-to-1 licensing for teachers, and access to content in print and online. Opt for ItematicaTM, our new digital item bank, for access to over 100,000 additional assessment items. Available August 2018. Support teachers with hundreds of evidence-based strategies and activities. With units organized by focus standard, the Teacher Edition equips teachers with an in-depth knowledge of the CCSS and hundreds of activities to support direct instruction and reinforcement. Formative assessments, interventions, extension activities, and more help teachers plan effective lessons to meet diverse student needs. Address 100% of the North Carolina Standard Course of Study for Mathematics with Total Motivation Math. This award-winning curriculum helps students build critical thinking skills and connect math to the real world. It also unpacks and explains all the standards and gives teachers access to proven instructional strategies for planning content-driven lessons, differentiating instruction, and creating thinking-centered classrooms. 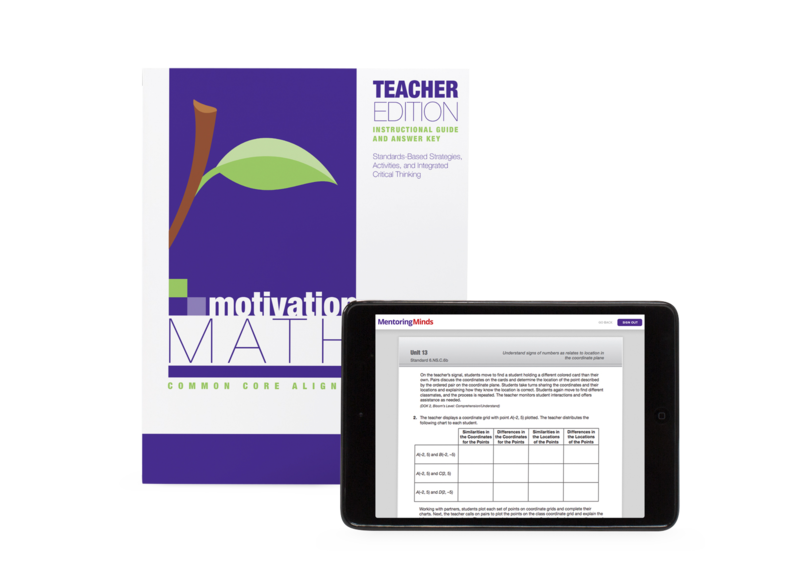 Address 100% of the Georgia Standards of Excellence with Total Motivation Math. This supplemental curriculum helps students build critical thinking skills and connect math to the real world. It also unpacks and explains all the standards and gives teachers access to proven instructional strategies for planning content-driven lessons, differentiating instruction, and creating thinking-centered classrooms.